It’s the last minute and you need help! Sleep Well is here. Whether you need help day or night, for a few hours or a few days, or are just not feeling well and need a quick, short-term hand, let Sleep Well help. 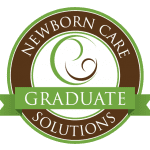 We have a pool of Nannies, Sitters, and Newborn Care Specialists ready to help. Don’t hesitate to call! We often help with same-day requests.